all youth can benefit from developing strong writing skills, laying a foundation for their future success. building lifelong literacy skills happens when youth are engaged and passionate – and writing is the key to building this engagement. Our programs include a variety of creative writing workshops, as well as publications and events that celebrate and promote the work of young writers. To date, we have helped over 6,000 youth write and publish their stories. We are a charitable organisation and rely entirely on grants, sponsorships, donations and volunteers. Over 40 teachers collaborated with us, and a dozen volunteers helped deliver the program. We produced over 1700 books, creating two copies for each young writer – one for them, one for their school library. We partnered with the Victoria Literacy Connection to support their Noisy Kids afterschool reading program. We worked with 16 different schools (across all three school districts: Greater Victoria, Saanich and Sooke). How many students do you serve each year and where do they come from? Each year, we work with hundreds of youth from the communities around southern Vancouver Island. We partner with schools and non-profits to deliver our programs in a variety of settings, from classrooms to museums. How much does it cost to attend a program? We strive to keep our programs as accessible as possible. With the generous support of our donors and sponsors, we offer our programs for free or greatly -subsidized rates. When did Story Studio open? 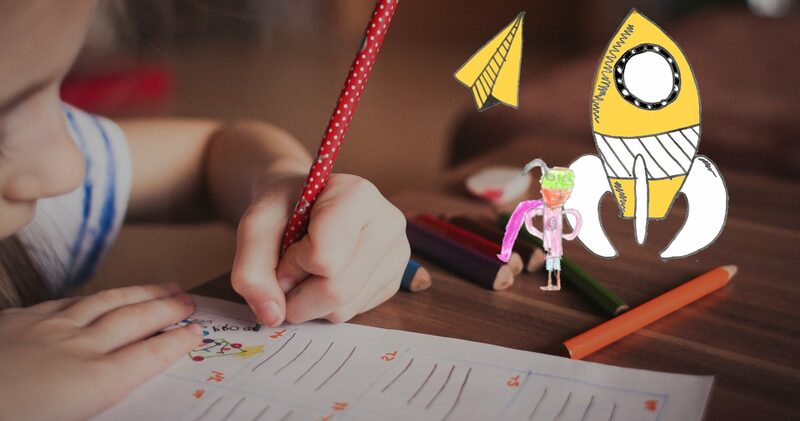 The Story Studio Writing Society began in 2012 with the hope of bringing creativity and confidence into children’s lives by giving them the tools to tell stories of their own, in their own words and with their own illustrations. The aim was to remove boundaries and allow children to lead their stories wherever they wanted. And we have done just that for over 6,000 youth. How many volunteers are involved with Story Studio and who are they? Volunteers help keep us running. These qualified and generous individuals are involved in everything from mentoring youth in the classroom to serving on our board of directors. Where is the Story Studio? Our head office is located at 2001A Douglas Street, where we share space generously provided by Victoria Child Care Resource & Referral. Our programming is delivered in schools throughout School Districts 61, 62 and 63, and at sites hosted by our other community partners. How can I sign up for a workshop?